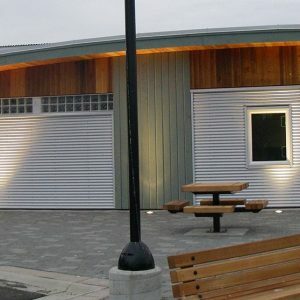 An important facility where many community and family events are held, the Alert Bay Community Hall needed preservation and improvement. 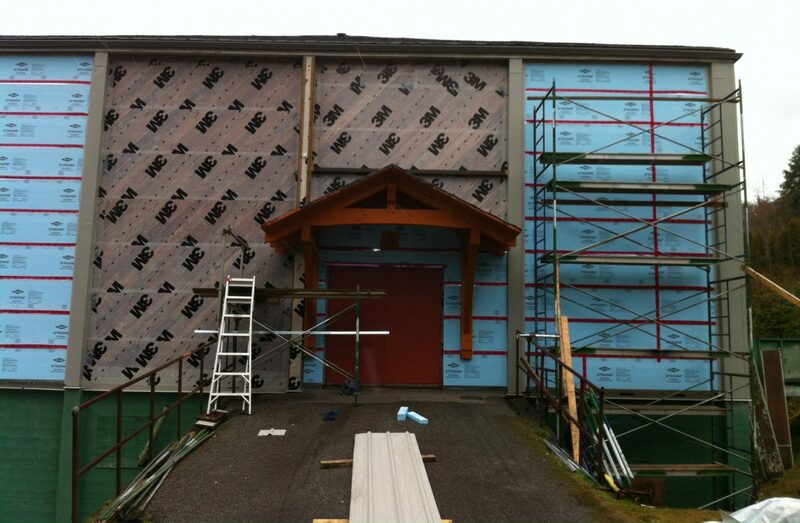 The Alert Bay Community Hall was uninsulated and wood portions of the structure were decaying. 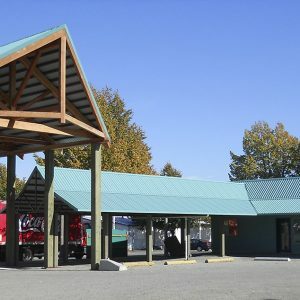 For this revitalization project to a heritage community hall, AFC was hired on a design-build contract to upgrade the exterior envelope and install new entrance-way canopies. AFC proposed and installed an exterior insulated rain-screen system with durable metal cladding. New timber-framed canopies were installed to highlight the entrances. Decayed structural members were replaced and fire exits upgraded to meet current BC Building Code.